Ce cottage traditionnel en silex est sûr d'offrir une retraite romantique et confortable loin dans le coeur de Sheringham. Niché dans un endroit pittoresque à proximité, mais à quelques mètres de l'agitation de la rue principale, l'emplacement est difficile à battre. Rez-de-chaussée: Porte d'entrée ouvrant sur le salon, la salle à manger et la cuisine. Salon: avec TV, table à manger. Cuisine: avec cuisinière électrique, réfrigérateur avec compartiment congélateur et micro-ondes. Premier étage: 1 chambre double. Salle de douche: avec cabine de douche, lavabo et WC. S'il vous plaît noter: Cette propriété a un escalier raide. Pas d'espace extérieur. Équipements: WIFI. Draps et serviettes fournis. Un petit chien autorisé @ & livre; 20. 00 par semaine. Situation: plage à 350 mètres, pubs et magasins à 2 minutes à pied. Veuillez noter que les informations sur cette page sont données à titre indicatif seulement. Nous ne pouvons accepter aucune responsabilité pour toute information inexacte, trompeuse ou incomplète sur toute propriété et ses installations ou services. Toutes les propriétés sont non fumeur. 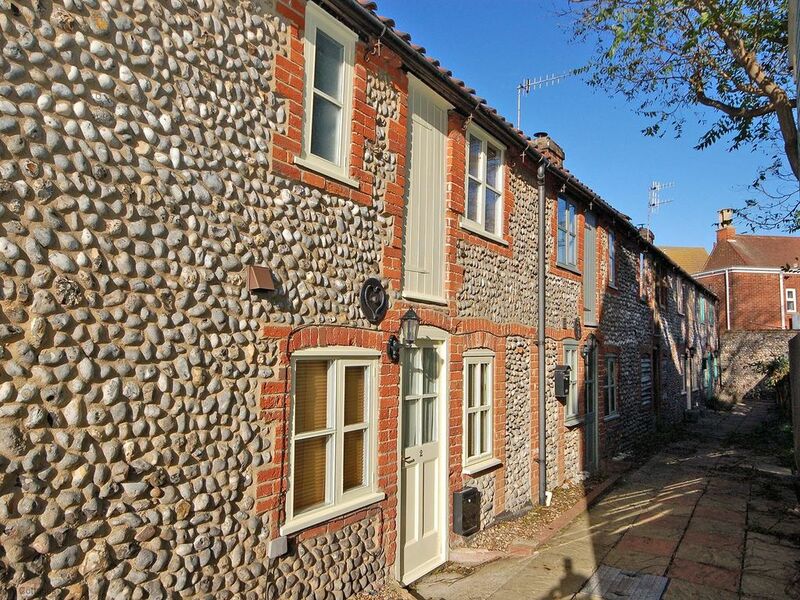 Ce cottage traditionnel en silex est sûr d'offrir une retraite romantique et confortable loin dans le coeur de Sheringham. Niché dans un endroit pittoresque à proximité, à quelques mètres de l'agitation de la rue principale, l'emplacement est difficile à battre. Adaptation to holiday home not thought through properly. shoddy work. Front door doesn't open properly so kept tripping up. Terrible bed and pillows. Not good layout overall. Will return to the area but not to the property. On top of this there was no parking available for the property and spent time looking for on street parking or would have to pay £28 to use local car park. We are sorry that you did not feel your stay at this very popular cottage was a good experience for you. Parking is not advertised with this property and guests are advised that there is on street parking close by or purchase of a weekly season ticket which can then be used at the majority of NNDC car parks in the area. Overall very good, clean, well eqipuipped, central yet quiet, Great for a short break, Only improvement could be a better table and chairs for eating at .. not comfy and a bit fragile, maybe a smaller sofa as only a property for two which would give space for a better eating option .. luckily we ate out most of the time but for breakfast, or when we had a takeaway, sorry but we don’t eat on our laps! Also think the tv needs a bit of attention, we don’t watch tv but like watching films of our choice, and could only get rubbish, it said something needed retuning .. Thank you for your review, we are glad you enjoyed your break. Sorry about the signal on the TV - we will get the TV retuned, and have the table looked at. We hope to welcome you back to Sheringham soon. Very neat and tidy little cottage - could not fault the cleanliness. Absolutely loved Sheringham, and the close proximity to the beach. The town is packed with character, to the Little Theatre, the Museum and so many quirky little shops. Travelling around the area too as so simple. Would have liked to have the facility to park our car a bit nearer to the house and we were not told about this until we arrived - but then we didn't ask! Will be back to Sheringham but will have a better idea of our ideal location next time. Tucked off the main street just a couple of hundred yards from the seafront, this tiny little hobbit like cottage was so well maintained and equipped. Everything was spotlessly clean and the area was secluded and quiet. Made a lovely place to explore the local area from. Thank you for your review, I am so pleased that you enjoyed this lovely cottage and look forward to welcoming you back to Sheringham in the near future.